I've been studying, practicing and recommending organics for about 30 years. During that time, I have read and heard many incorrect and inane comments about the natural organic method. Below you can read the absolute stupidest one of all. These morons are probably not smart enough to learn anything new, but if they would actually look into this issue honestly, they would find the truth that organic production saves somewhere around 50% on water because biologically healthy soil stores water more efficiently and healthy plants with mycorrhizal fungi on the roots access and use water more efficiently. It's not even close to a secret that pesticide use has skyrocketed with the expansion of genetically modified crops, especially the use of Roundup. And on the subject of fertilizer, organic fertilizers improve the soil with every application, but synthetic fertilizers are basically salts and damage the soil with each application. And thus water requirements increase with synthetic fertilizers. Why tax organic products? Organic farms don’t use water nearly as efficiently as conventional farms do, argue Terry Anderson and Henry Miller, economists with the Property and Environment Research Center and the Hoover Institution. A water tax on organic products would be a much better idea than mandating water use. 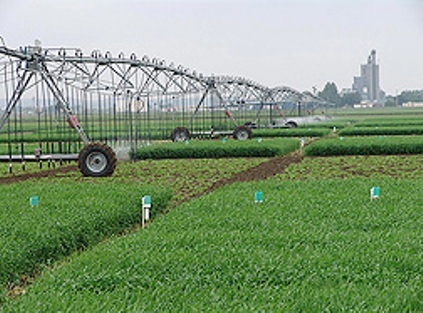 “Pest- and disease-resistant genetically engineered crop varieties also indirectly improve water use. Because much of the loss to insects and diseases occurs after the plants are fully grown - that is, after most of the water required to grow a crop has already been applied - this means more agricultural output per unit of water invested,” the economists wrote. For more information on natural organic programs, go to DirtDoctor.com and the Texas Organic Research Center.